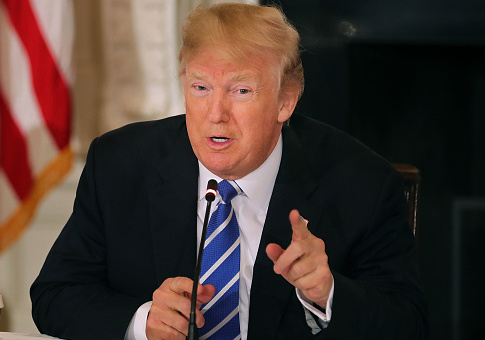 Faculty members at Lehigh University in Pennsylvania voted overwhelmingly to revoke an honorary degree that the school bestowed on President Donald Trump nearly 30 years ago. The Brown and White, Lehigh University's official newspaper, first reported that the school's faculty had taken an online vote to strip the president of the honorary degree bestowed in 1988. The vote was overwhelmingly for revocation, with 83 percent of 357 faculty members voting in favor. Doug Mahoney, an associate professor of management at the Lehigh University College of Business and Economics, expressed his sentiment that the sheer number of faculty members who voted was a clear indication of how the university felt about its association with the president. "The faculty spoke, and I think spoke rather strongly, in terms of the number of faculty participating and the overwhelming support of the motion as written," Mahoney said. The faculty vote is not binding, however. The Brown and White noted on Twitter that decision of whether to rescind the president's degree rests with the school's Board of Trustees. BREAKING: 83 percent of @LehighU faculty voted in support of a motion to rescind @realDonaldTrump‘s honorary degree. The results of the electronic vote will be conveyed to the board of trustees. The idea of revoking the president's honorary degree came about after a petition to do so, posted on change.org, received over 35,000 signatures. The petition listed the president's "America First" policies, his alleged comments in regards to African countries, and his "treatment of women" as reasons for revocation. This entry was posted in Culture and tagged Donald Trump, Pennsylvania, University. Bookmark the permalink.